Q. After trying to revert to stock state(out of the box) my device is stuck in a bootloop? Q. 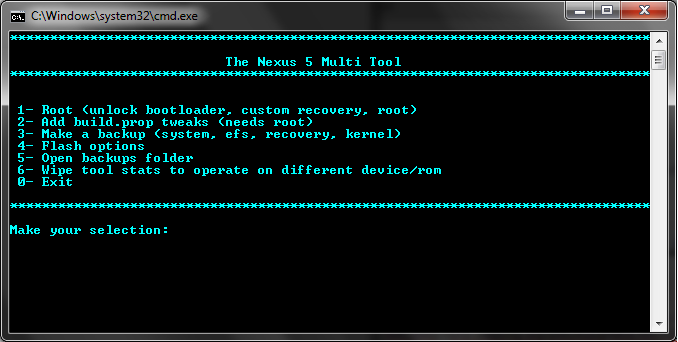 After the tool flashes recovery, it doesnt seem to stick. why? Flash it a few more times and eventually it will stick! Q. Why is the file only 1.5 MB? Q. Will the tool download all the files everytime i wanna perform an option? A. No. it downloads the file once and detects that its already there the second time. Q. Is this tool worth my time? A. Who would think a 10 minute toolkit could hit the portal? Q. Are the drivers included? Ajout d'informations : changelog, FAQ et modification des instructions.